Antique Treen 19thc Boxwood Shoe Snuff. Continental. C1860-80. 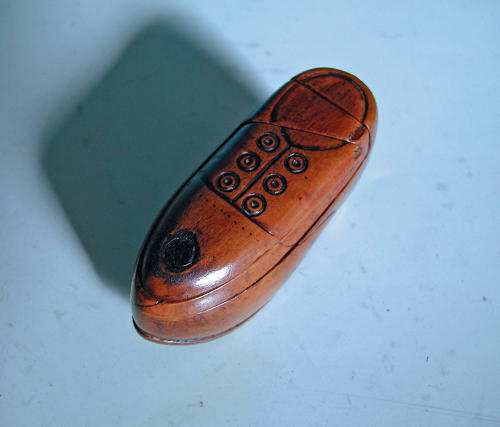 A nicely made 19thc Boxwood Snuff in the form of a clog, cleverly made with a "trick"way of opening...the top piece swings to the right and then the middle piece is able to slot down and then open. The Snuff is in original condition, no chips or cracks and has a fine colour that Boxwood always goes with age.